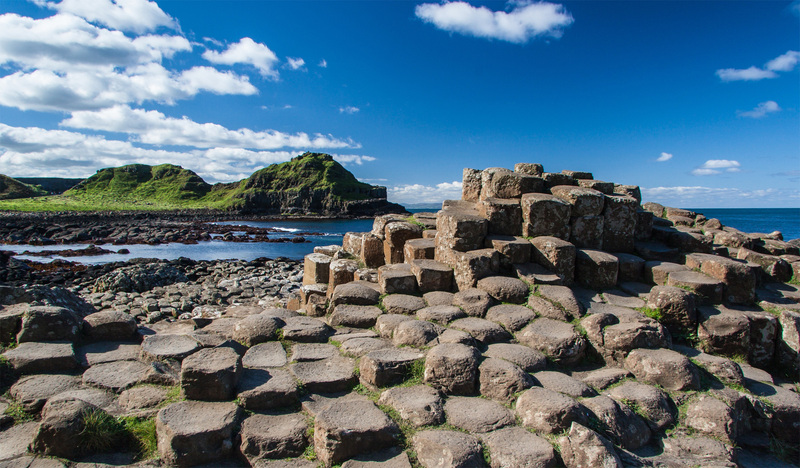 The 40,000 unique and iconic black basalt columns protruding from the sea have ensured that the Giants Causeway is included on the UNESCO world heritage list. However, it is the walk across the stones, the spray of the ocean and views of Scotland on the horizon that truly entrance. Suspended almost 100-feet above the crashing waves and rocks below, Carrick-a-Rede Rope Bridge, which has linked mainland Ireland to the tiny fishing island of Carrick-a-Rede for hundreds of years, makes for an impressive sight. Thrill seekers come from all over the world to cross the safe but sometimes swaying bridge, from which they are rewarded with uninterrupted views of Rathlin Island, Fair Head & Scotland. 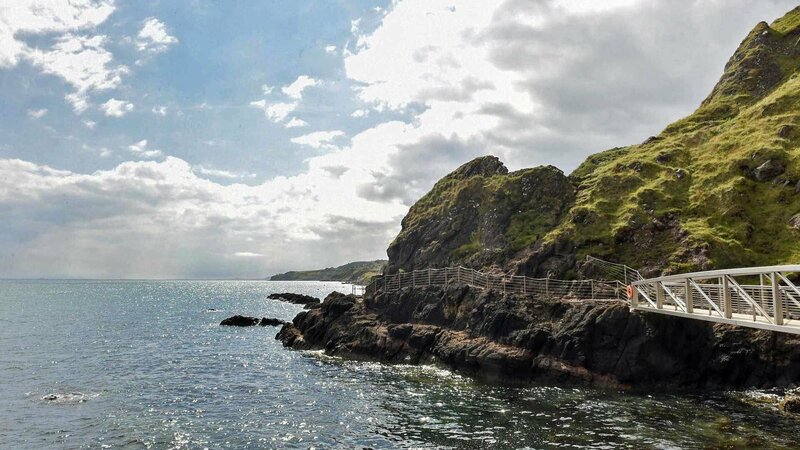 The rope bridge is a very popular visitors spot so be sure to book in advance of visiting. The Causeway Coast Discovery Centre provides workshops in language, dance, traditional music, Scots/Irish genealogy, traditional crafts and the clan history of the Causeway Coast in the 16th century. The centre specialises in experiential Irish tourism and offers the opportunity to delve into Irish culture, heritage and history. The centre offers a unique brand of quality tourism where visitors meet local people and experience authentic traditional hospitality in the local community and culture. It is this quality and uniqueness that has helped the centre win an Irish tourism award for the last 4 years and a visit here really brings your onward journey through Ireland to life. 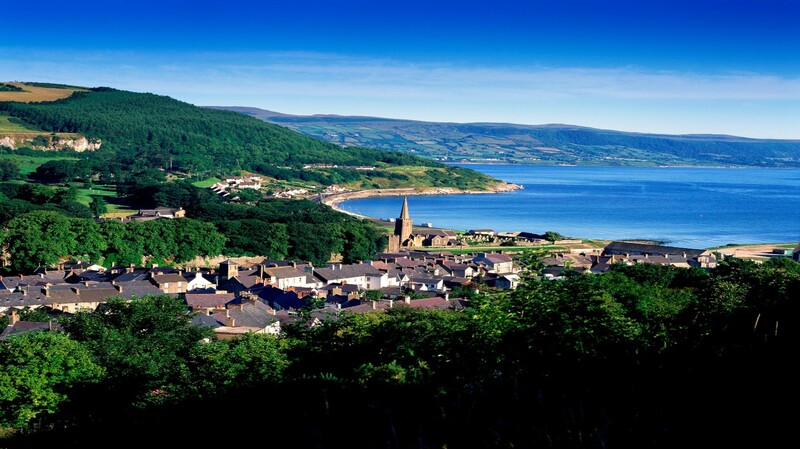 If you want to experience quintessential Irish life, we recommend a guided tour of the picturesque coastal village of Glenarm, situated in this in the heart of the beautiful Glens of Antrim. Steeped in history and charm, Glenarm is a truly rustic and idyllic location which captures quintessential Irish life in its most authentic form. Meet the village shop owners and locals while hearing the history of this quaint village before heading to Glenarm Castle for a stroll through the esteemed walled gardens and lunch at the castle’s tearoom. 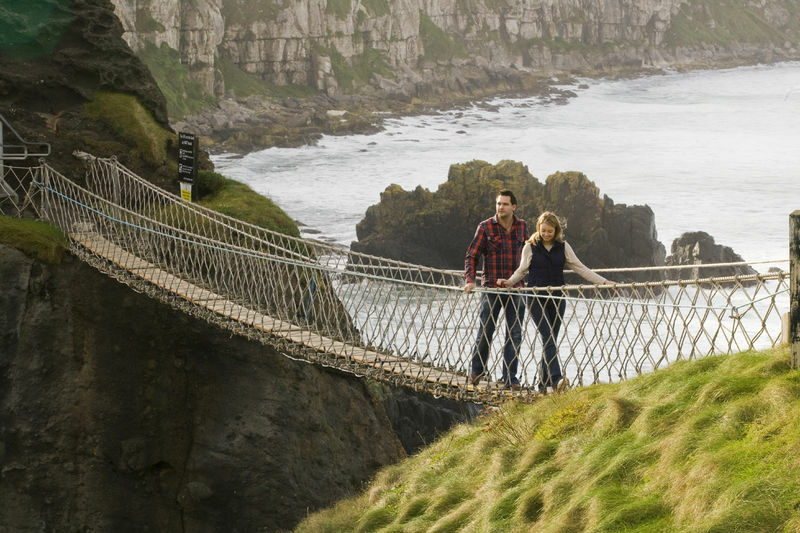 Get up close and personal with the Causeway Coast! The Gobbin’s experience takes you along a coastal path, hugging the dramatic cliff face; across spectacular bridges amid the crashing waves, traversing hidden Tunnels; up and down rugged staircases carved into the cliff face and into caves that were once home to smugglers. We highly recommend the tour which lasts approximately 2.5hrs however, a certain degree of fitness is required to get the most out of the trip. 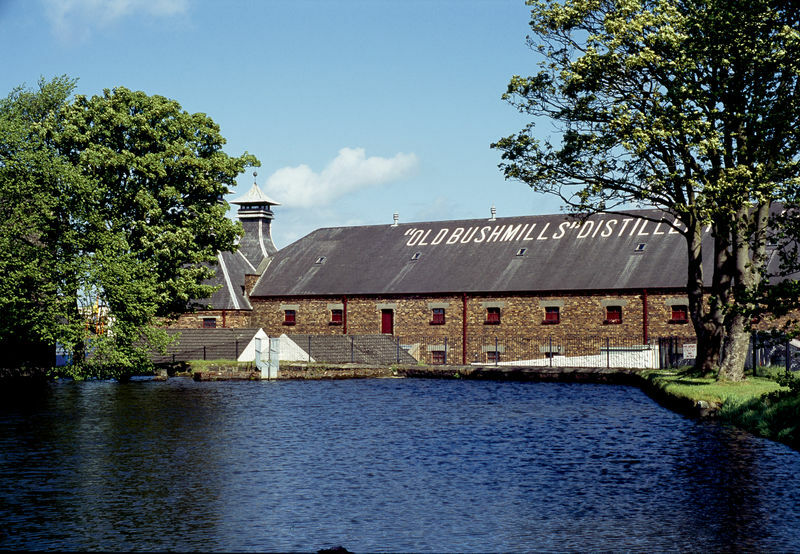 Founded in 1608, Bushmills Whiskey Distillery is the oldest licensed whiskey distillery in Ireland. Nestled in the unique coastal town of Bushmills, the distillery proudly explain that they are not the best because they are the oldest, they are the oldest because they are the best. I would have to agree with them on this one as their philosophy of hand crafting small batches to produce beautifully smooth tasting Irish whiskey works a treat. The tour is interactive and offers a real insight into the history of the brand, the processes and how the Distillery use traditional methods to cater for a contemporary market. However what sets it apart is the knowledgeable and passionate local guides who can really bring the place to life with a double measure of hospitality. 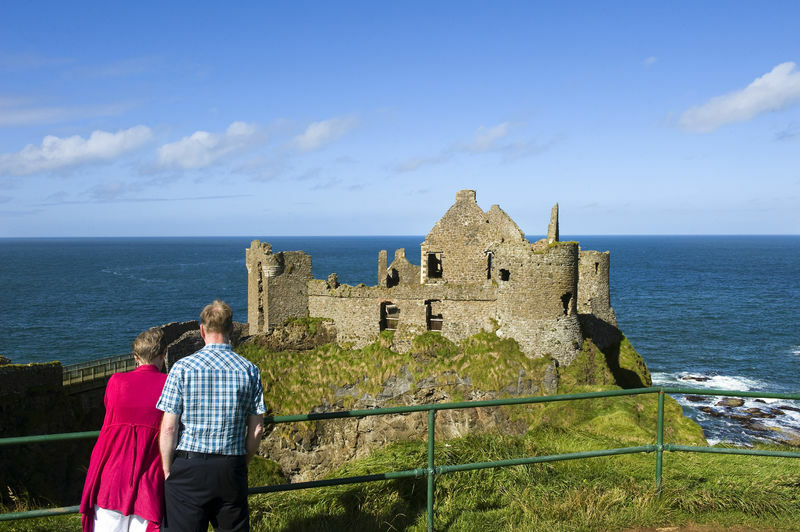 The iconic ruins of Dunluce castle stand majestically on a rocky promenade of the Causeway Coastal Route and offers visitors a real life Game of Thrones® story. Built by the MacQuillan clan in the 1200s but captured by the legendary Sorley Boy McDonnell in the 1550s, the castle bears witness to a long and tumultuous history. Stunning photo opportunities to be expected and well worth a visit. Relive the epic story of the Irish Clans who ruled Ireland up to the 16th century and become immersed in authentic Irish experiences! The experience focuses on the mighty McDonnell clan who ruled the land around the Causeway Coast and the Western Isles of Scotland. 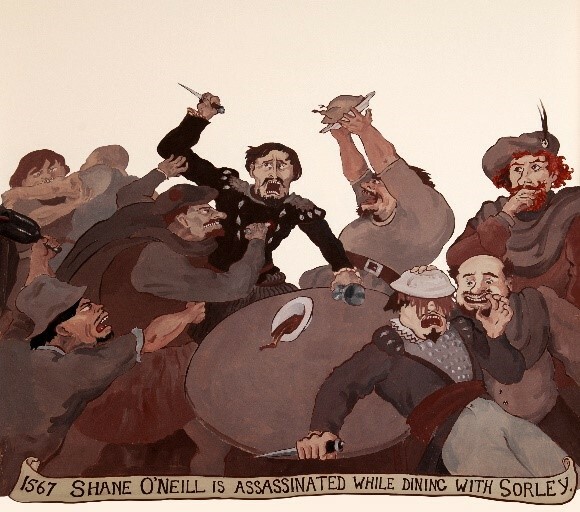 Bring your onward journey on the Causeway Coast to life with this true to life Game of Thrones story, told through the eyes of their famous chieftain Sorley Boy McDonnell. 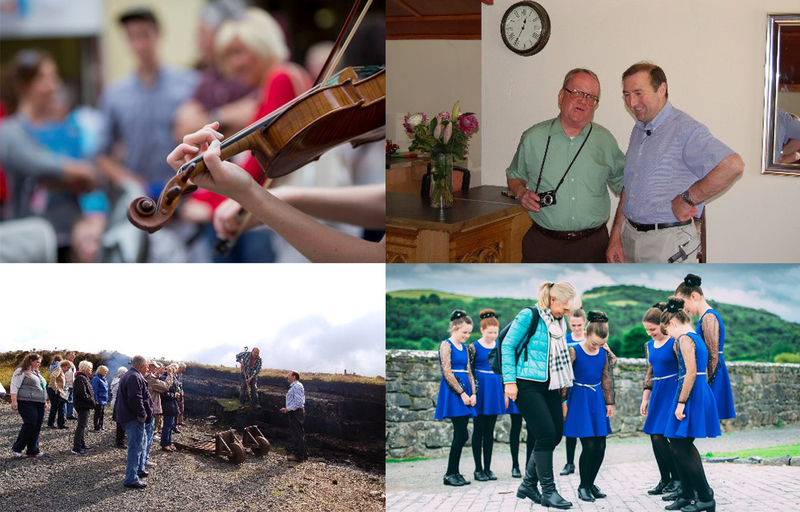 The experience is offered by the Causeway Coast Discovery Centre whose hallmark of offering authentic Irish experiences in the local community and culture sets this experience apart. This experience has so much to offer, have a look and for yourself!